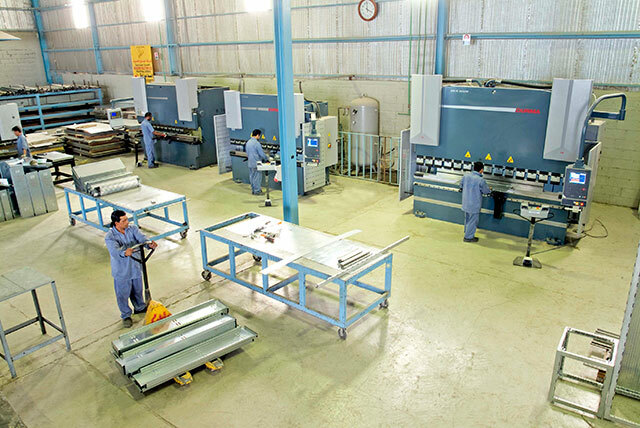 There is a difference between a standard panel shop and our ISO 9001: 2008 certified panel fabrication facility. 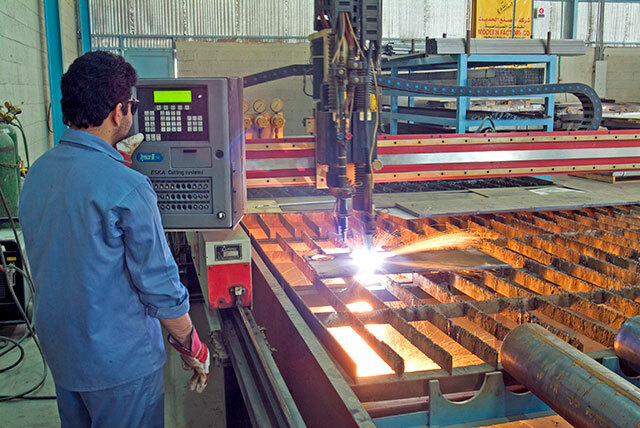 The quality that goes into each panel, the capability of its engineering, its design, and the tests performed on each panel make that difference. From our simple power panels to the multi generator synchronizing panels, you can be confident of the precision we build them from the first time. 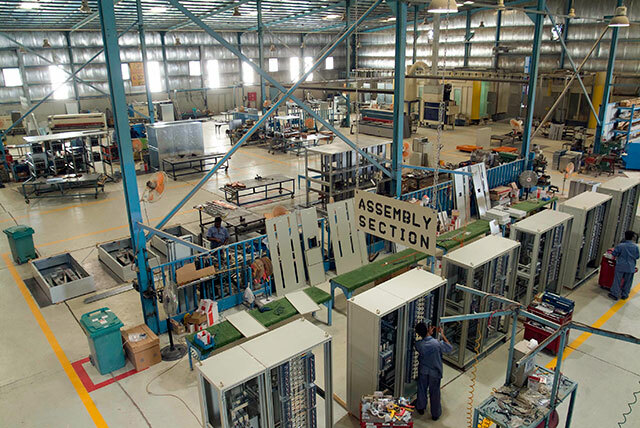 Our facility accommodates our products to be built to your exact specifications, and all our panel building staff are electrical technicians with combined decades of experience and follow our strict methodology in fabrications and testing. 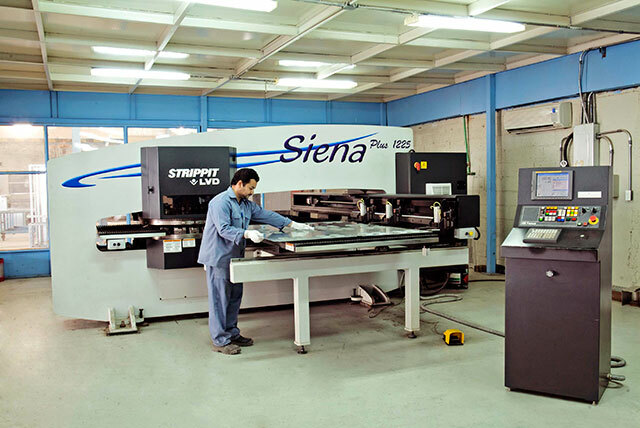 From the smallest enclosure to the largest panel, our facility can administer your needs, and with our ISO 9001: 2008 methodology you can be assured that quality is built right in, by our ability to design, build, and test all our products under one roof. 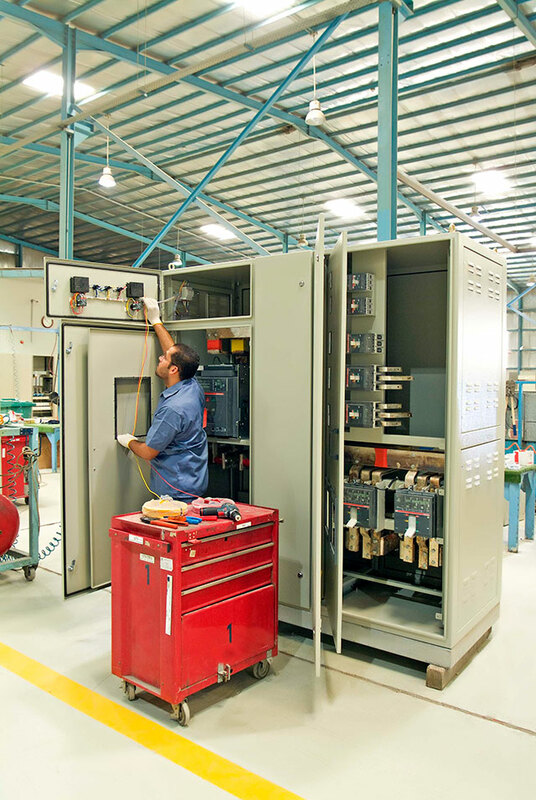 EAMFCO can control the entire process and assure that the job is done correctly, completely and efficiently, whether you require a switch board or substation, we have the experience to meet your most demanding needs. 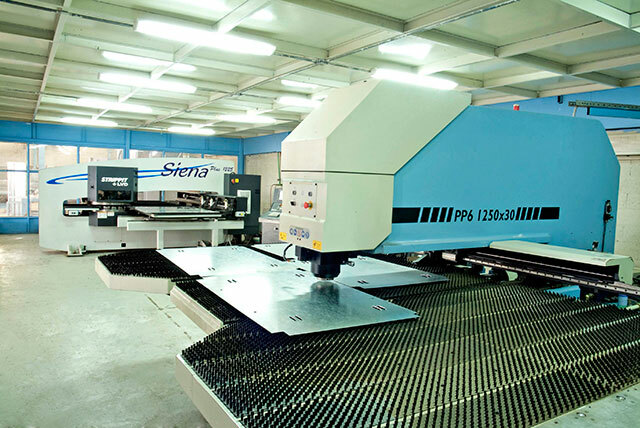 31 Station CNC Punching Machine. 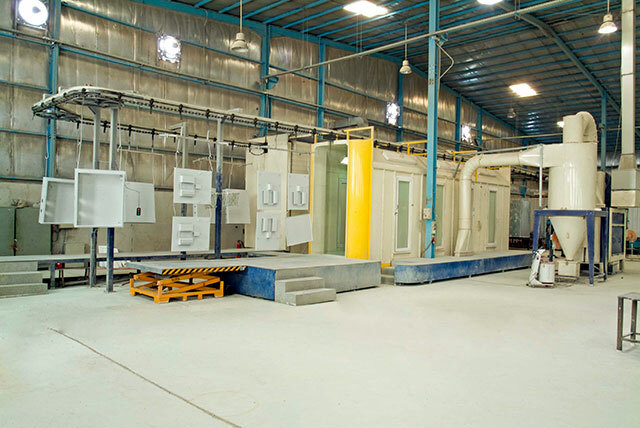 Full Automated Powder coating line. 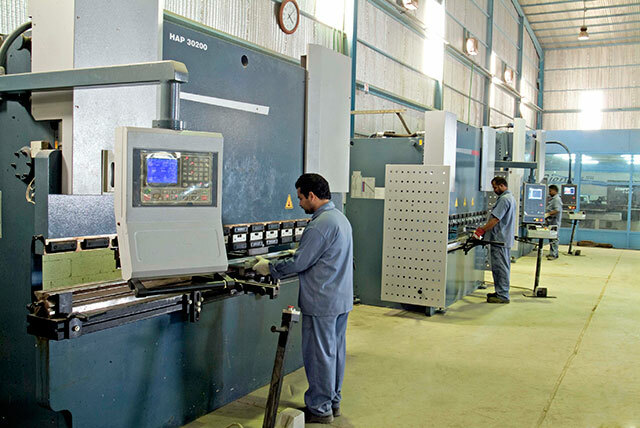 Full Automated CNC Bending machine.